Eunisell Chemicals, a leading global chemical and specialty fluid management company, has raised the bar in front-of-shirt sponsorship, in the Nigeria Professional Football League (NPFL) after extending its deal with Rivers United FC. For the first time in the history of the NPFL, Eunisell becomes the first brand to enter the third year of a front-of-shirt deal and also makes history as the first to splash a bonus of N10 million on a Nigerian football club. Group Managing Director of Eunisell, Mr. Chika Ikenga, said the company is extending its sponsorship to be part of the club’s history. “We are encouraged by the good performance of Rivers United and in keeping with our promise to stay with the club whether they fall or rise. We have renewed our shirt sponsorship agreement with them irrespective of the economic situation in Nigeria”, he said. However, Ikenga revealed that the N10million bonus to Rivers United is in recognition of their impressive outing as NPFL runner-up last season and for emerging Super Four pre-season champions, in less than a year into their formation. 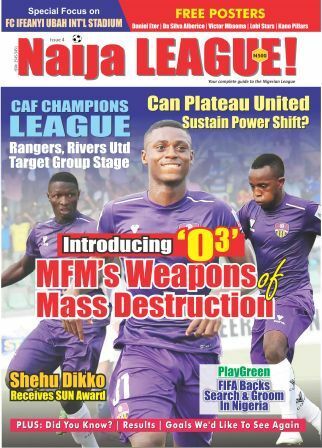 Responding, General Manager of Rivers United, Chief Okey Kpalukwu, promised that the club will do more in the new season. “We are going to win the NPFL and do well in the continent”, he assured. Eunisell started their front-of-shirt sponsorship contract with Sharks in 2015 and continued with Rivers United, in 2016, following the merger of Sharks and Dolphins by the Rivers State Government.